collect more Qs from RMIMers beforehand. prominent music director like S.D. Burman walked past. instrument by age 12 (his debut was for a song in “Jogan” for Bulo C.
Q. Did you always know you would make it in films as a composer? Q. Who was your biggest inspiration? A. 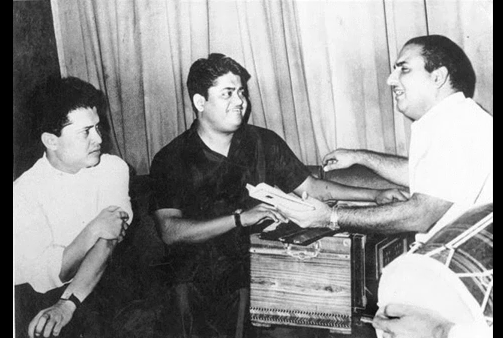 Definitely Shankar-Jaikishan. We loved their music and I still do. with an upturned collar and wearing a his metal watch-strap loose. mandolin piece for “Ghar aaya mera pardesi” from “Aawara”. was definitely the more superior of the two. Q. Can you give me a song in which your solo violin is clearly heard? 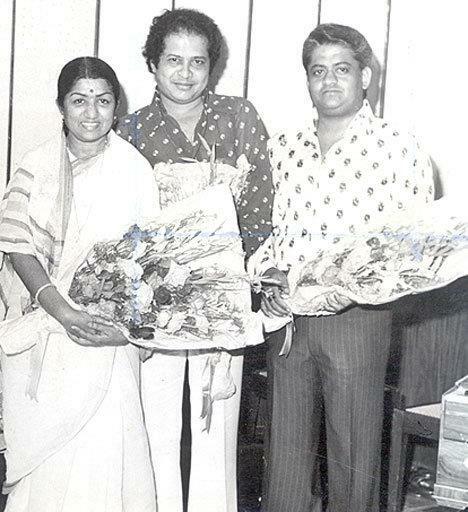 Laxmikant-Pyarelal had become an established pair. “Waqt karta jo wafa” from Dil Ne Pukara. A. A man named Moraes, also now no more. (*pointing upwards) – we just did our job. Q. Did he play for all the “Dosti” songs”? called Milan, who was also self-taught like RD. of an A-flat note in the background – how did this occur to you? calling on me and ask me about it. Q. “Mr X in Bombay” was one of your first movies with Kishore Kumar. best songs ever. 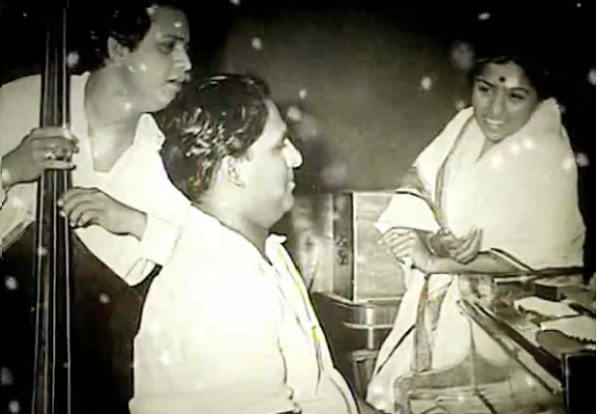 The song in raag Kalavati “Kabhi to miloge jeevan saathi” came about because ever since Laxmi and I had heard Ravi Shankar’s wonderful “Haaye re woh din kyun na aaye” in “Anuradha” we had also wanted to do a Kalavati for Lata. There is also a Kalavati in our “Harishchandra Taramati” – “Meghwa gagan”. Did you know the last note of the line “Pawan gungunaake” ends on a madhyam, which is not in the raag? But Lata liked it and so we let it be. stanzas in the line “phir bhi jaane kyun” was a nice touch. Q. Wasn’t the intro music of “Pyaar baant-the chalo” taken from a western tune? sheepishly admitted that he had taken it from a western tune. dhak” words note for note. Were L-P always overly fond of the dholak? A. Well, we tried to use it in as many innovative ways as we could. has some lovely accordion interludes. Who was the player? “Amar, Akbar Anthony” and “John Johnny Janardhan” (“Naseeb”)). Ghar”) or Rafi in “Akela hoom main humsafar dhoondta hoon” (“Jaal”). Q. “Aaye Din Bahaar Ke”‘s “Suno sajna” is another great composition. circles as kabootar! Yes, the song became a big hit. full-fledged music director with partner Omi. opinion a better choice would have been “Mere sanam” from “Naag Mandir”. It’s more beautiful and haunting. stage programmes – all of them non-musical. recall what the raags were? parts throughout the film. Was it director Raj Khosla’s suggestion? sure that it was duly credited. Q. How much credit does Jeetendra give you for his ‘Jumping Jack’ image? ka chirag ho” is very much like a Madan Mohan composition. Any comment? suit those songs, and wouldn’t change. See how he was proved right? first ‘cabaret’ number – “Aur mera naam hai Jameela” – for you? place, and that helped in setting the music for “Nazar na lag jaae”. rhythms and other aspects of music. Q. Even Asha’s “Ae dushman jaa” has some real good arrangements. tried to get Asha to do it at the end of the word “Allah” – A-haaa. Usha Mangeshkar and Usha Timothy. while I was doing that song! singing together – “Saat samundar paar” from the same movie. Shivangi Kolhapure were our stock bunch of chorus singers, nothing more. done or suggested by your singers? another rhythm that we never used again. doing a stunt film. Any comment? inspiration, but it didn’t work! why not Asha who would seem to be the obvious choice? “jaane ja”, is inimitable, I think. anything to fit those bars. Q. And whose was the voice of the beast? of the entire song was that of P.L. Raj. which Mehmood mimicked the Kapoor family. Were there any repercussions? in a friendly way with an apology from Mehmood. Q. But what did Mukesh have to say about it? suppose to that extent we were also in it. was best suited for the song, that’s all. film has one of our best music, with no two songs alike. mono and electronically reprocessed for stereo? “Who Din Yaad Karo”. Why didn’t you use him more often? him only once while we assisted, in “Milke bhi hum” for “Sunehri Nagin”. only major flop was B.R. Chopra’s “Dastaan”. What went wrong? by Rafi is a great composition. Q. Any recollections of using Hemant’s daughter Ranu Mukerjee in “Ek Bechara”? She sang “Naach haseena naach” with Mukesh. been looking for something new. Q. And Anand Bakshi singing in “Mome ki Gudiya”? Q. What was the feeling when you did “Roop Tera Mastana”, your 100th film? A. Was it really? I only know it now. Q. You used a Hawaiian guitar in “Aakash pe do taare” – played by? Q. Did you play the violin yourself in “Ek pyar ka nagma hai” (*Shor)? sunset, and my wife gets all the credit for our son’s upbringing. Q. Any other examples of large orchestration? is similar to “Bobby”‘s “Ae phasa”. Who played it? strumming on an acoustic guitar. people down a peg or two. palle”, knowing her reservations about such songs? line that clinched it was “Mujhe kuchh kehna hai”. Purshottam duet “Ni main yaar manana ni” – any memories related to it? movements too were accordingly toned down. pyar ho na jaaye” – also the title song of “Naatak”. them play spontaneously, without a written score. played as a musician under him – even in “Allah tero naam”. introduction. Do you remember the artiste? A. His name was George. A. The claviolin! Arun Paudwal was the player. produced an entire octave with a single ‘meend’! That won me over completely. baton. Do you feel privileged in some way about this? for a few arrangements I did nothing. would signal to the singers. Q. What was it like working with Rajan-Sajan Mishra on “Sur Sangam”? Q. Did the classical singers have a problem singing in a fixed time recording? I mean, being used to free time aalaaps and so on? used what sounds like thalis (metal plates). What are they? A. No, they are eating thalis! Q. Again, won’t you have problems of tuning? Q. You seem have used musicians from everywhere. in his own right), Ram Narayan and Sultan Khan (*sarangi)… it’s a long list. Q. And life after Laxmikant?